REFLECT: How could John stand in front of the masses with such boldness? Where did this attitude come from? RESOLVE: Write down one quality of John that speaks boldness into you. I think when Jesus came to John and asked to be baptized by him, JOhn said no, it should be him who baptizes John. But Jesus assured him this is the way it needed to be. I find boldness in the fact that even though John did not feel worthy, he trusted in Jesus and did as he was asked. That is bold, to trust completely and do as the Lord instructs. I love this, I'm new to it! John is fearless, and we see it as he speaks to the people of Judea. 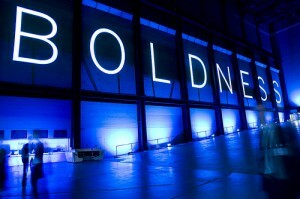 His boldness comes from God. He is unafraid of the consequences he may face being a believer in his time. He is confident in his faith, and is sure of his duties (which I am one to forget mine often). He is humble by praising Jesus as opposed to falling victim of Satan and believing he is the chosen one, as he does not feel worthy to baptize Jesus. In this we truly see how great Christ is. I can't see a leader in this world doing this. He shows he is no greater. One word to explain him: love.